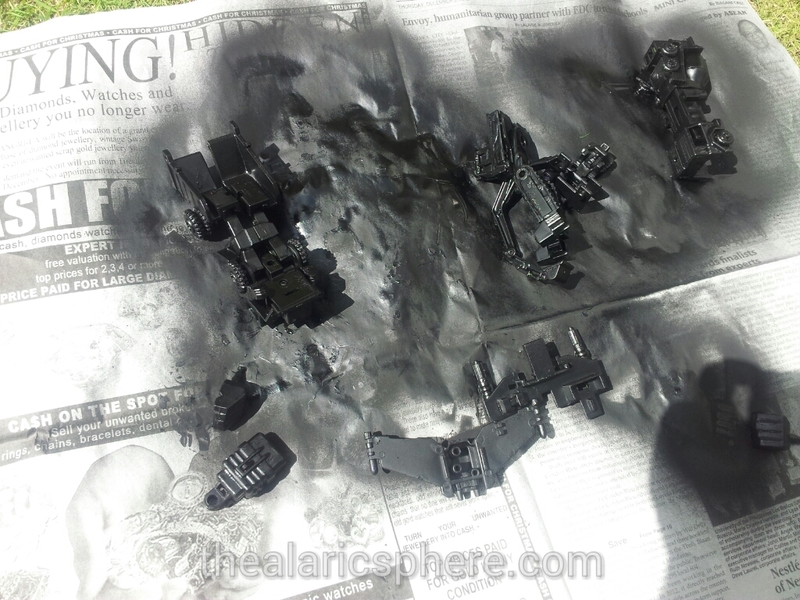 Last month I started on the great Devastator project and since I had a lot of time during the holidays. I was able to progress a little bit. I was able to get to the point wherein all the figures were already coated in black as the base then with the help of a friend, I was able to get the greens on the figures. The next step would be to finish the details of purples, reds and other colors. But I’m liking how the imperfect coloring (noob skills sorry) makes the figures look worn out. Which is awesome actually. 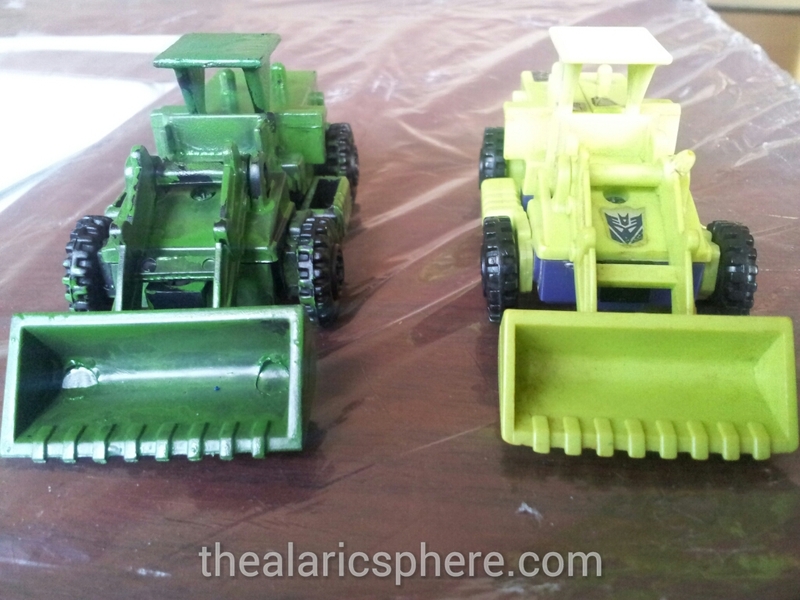 The left one is the cheap figure I got for around P300 after being painted. 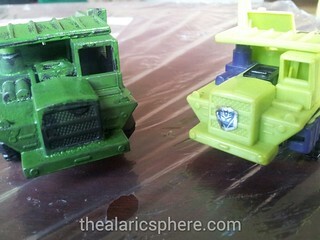 The one to the right is the original G1 toy from my childhood.